The Crafty Carrot Collective is a group of 4 international Artisan Stampin' Up! Demonstrators. Each month we release a bundle of 4 to 5 projects tutorials, featuring a different stamp set. These tutorials include full color PDF supply lists and videos. Tutorials bundles each month include project themes of Off the page, Step It Up, Technique, CASE the catalogue and a Bonus tutorial. 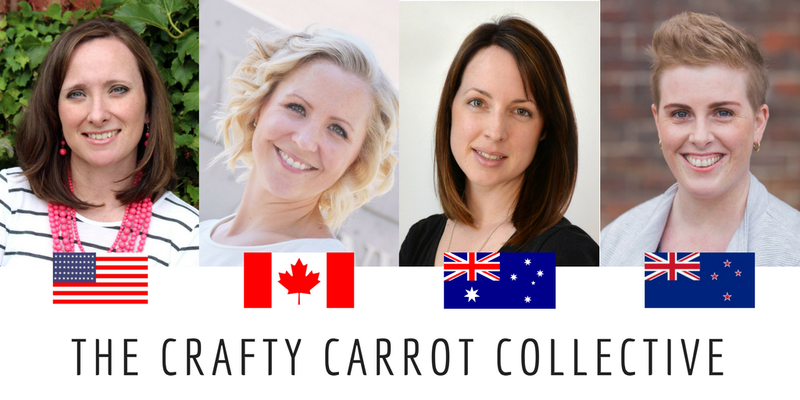 Learn more about the Crafty Carrot Collective Here!